LEMPRIERE Grain has been gone into administration, and the Victorian Farmers’ Federation (VFF) is working with affected members to ensure they are included on the list of unsecured creditors which will be compiled at the first creditors’ meeting to be held next Tuesday in Melbourne. The company went into administration last Thursday, with offices located in Ballarat and Melbourne. VFF grains group president Ashley Fraser said Victoria’s Western District and Wimmera appeared to be its main grain-buying area. “I’ve spoken to a number of growers who’ve put thousands of tonnes over the years through Lempriere Grain, which has grown to be a trusted business,” Mr Fraser said. Grain-industry sources have said Lempriere Grain was posting aggressive bids for short periods on cereals at some silos sites in western Victoria in the harvest just gone, but said its activity in the 2017 and 2018 harvests had been limited compared with that of previous years. According to the Australian Securities and Investment Commission (ASIC), Singapore-based company Starcom Resources Pty Ltd owns half of Lempriere Grain. The balance is owned jointly by two companies, Benwill Pty Ltd and Myaring Nominees Pty Ltd, both of which are registered to a Melbourne CBD address, and are linked to Melbourne businessman William Lempriere. 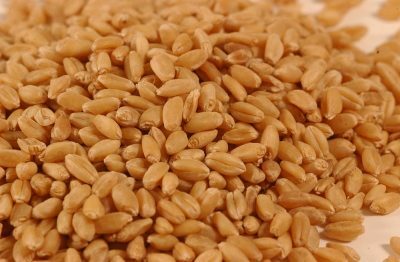 Sources have said Starcom Resources has provided Lempriere Grain with links to export containerised Australian cereals into Asia. The Lempriere family has a long and distinguished connection with the production and marketing of wool, and William Lempriere is a co-chairman of Lempriere Capital. Lempriere Capital has distanced itself from Lempriere Grain by earlier stating on its website that Lempriere Grain uses the Lempriere name under a licence agreement. “Neither Lempriere Capital nor William Lempriere have any operational involvement whatsoever in Lempriere Grain,” the website’s homepage stated. Lempriere Wool is a separate business, and holds a stake in CS Agriculture, the owner of Cubbie Station. “It’s a totally different entity. It’s got nothing to do with us,” a spokesperson for Lempriere Wool told Grain Central. William Lempriere was a director of Lempriere Grain from the company’s inception in 2003 until his resignation in January last year, and the directors of the company are listed as Melbourne-based Jonathon Holdsworth, and Ajay Aggarwal in Singapore. Marcus Currie was a previous director, secretary and shareholder of Lempriere Grain. Other previous shareholders of Lempriere Grain are listed as Lempriere Holdings Pty Ltd and Westaust Woolbroking Services Pty Ltd.
Andrew Spring and Trent Devine of Jirsch Sutherland have been appointed as Lempriere Grain’s administrators. Lempriere Grain has not been a member of the Grain Industry Association of Victoria, but is a member of Grain Trade Australia.